In the past, most people would only interact with elevators in public spaces such as office buildings or shopping centres. These elevators are built for functionality and not looks, so many are utilitarian or drab looking. You might not think it matters, but if you think about it, associating the beginning of a long shopping trip or work day with such a depressing environment can’t improve your mood or put you in the right frame of mind. So why would you settle on a bleak looking, dull coloured elevator in your home when you have so many options to choose from? With the installation of any home elevator, you can choose your car wall colours, lighting, flooring, landing door type and colouring. A popular finish for profiles, handrails, door frames and handles is anodised aluminium. It provides a rich metallic sheen that won’t scratch, peel, chip, flake or blister easily. Cleaning is as simple as wiping it down with a household cleaner. It can even be further customised by being powder coated in over 260 different colours. As for your interior, there is steel, leather, PVC, granite, rubber and linoleum finishes to choose from. At Easy Living Home Elevators, we have gone one step further to help customers create truly unique elevators for their home. We’ve paired with Italian glass mosaic suppliers to offer once off mosaic finishes and patterns for your residential lift. We also have a luxury range that features dozens of authentic wood grain finishes. For our show-stopping option, we’ve teamed up with Swarovski to offer select homeowners the chance to brush up their home elevators with an array of crystal elements. The choice is yours, and with an extensive amount of design, colour and finishes to choose from, you get to create the home elevator that you deserve. 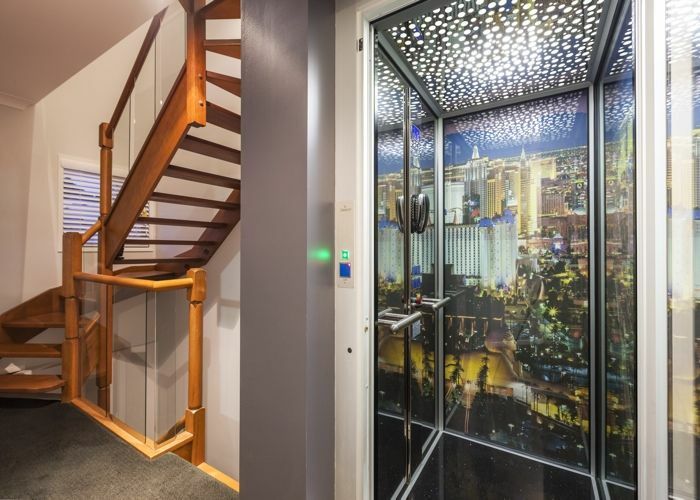 Want to see how your home elevator design ideas can come to life? Just visit your nearest showroom or get in contact with us today!